The Israel fans took up only a small number of the seats at Tokyo Dome, which holds over 45,000 people, but they still made their presence felt by making a lot of noise and waving the Star of David flag during Sunday’s game against Cuba at the World Baseball Classic. The Israel team, making its debut in the tournament, improved to 4-0 with a 4-1 victory over the Caribbean nation. Some of Israel’s enthusiastic fans — including the Jewish American parents of the team’s players, and Israeli embassy employees — said that they thought the squad would play well going into the tournament, but not as well as this. Israel shocked the world in Pool A of the competition in Seoul. It had a perfect 3-0 record in the qualifiers to get to the main tourney as well. “(We are now) 7-0, it’s magic,” said Orlan. Perhaps having expected the team to play well before the tournament, Orlan, a company executive in the United States who used to go to university in Japan, now wants “more,” meaning a berth for the final-four round in Los Angeles. Israel will take on the Netherlands on Monday night and Japan on Wednesday night. 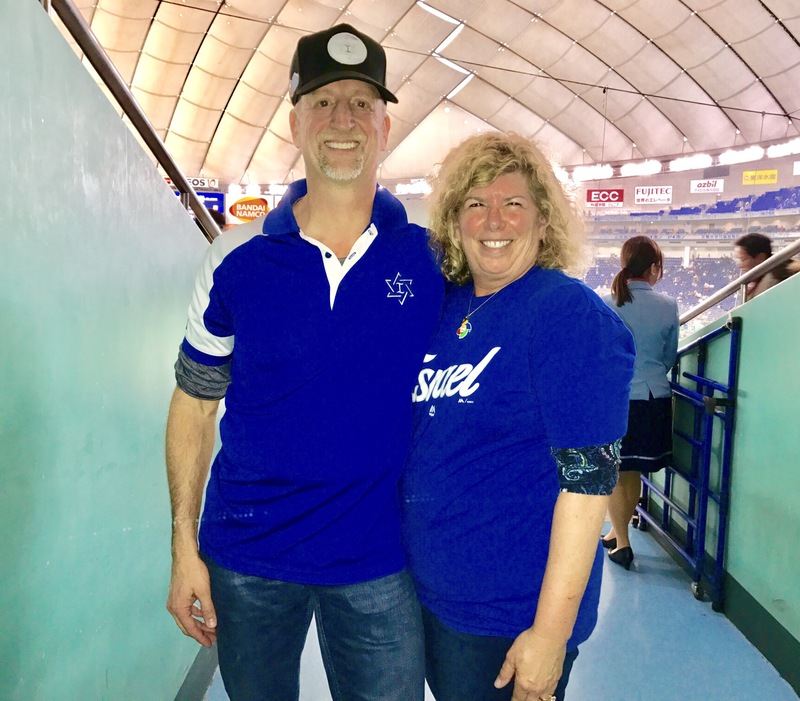 Orlan’s wife, Margie, was on the same page as her husband and said it would be a “once-in-a-lifetime opportunity” to see Team Israel compete for the championship. 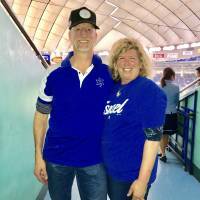 Peter Kurz, CEO of the Israel Association of Baseball, said that he didn’t foresee the team going undefeated so far, but that it was not a huge surprise either. Kurz added that the team did a good job in putting the players together leading up to the tournament. “We have brought 10 people to Israel and another 10 players to Israel last month,” said Kurz, who also serves as the team’s general manager. “We also played together in Brooklyn (for the qualifiers last September). We added some new guys, but most of them played (there). And most of them also played four years ago in Florida. And the Israeli team’s unexpected run could help boost the game in the country, inspiring more children to begin playing. Amit Kurz, Peter’s son who is a board member of the IAB, insisted that it would be a jump start for the country’s game.